DAIMON project perceives the Baltic Sea Region as an integral ecosystem, disregarding national or administrative borders. The management of dumped chemical warfare agents is a transboundary challenge and such can be taken up only by means of transnational and cross-sectoral cooperation. Below is the list of institutions and organizations collaborating on this worth-while task. Contact us if you would like to become part of our network. ​Institute of Oceanology of the Polish Academy of Sciences (IO PAN) is dedicated to scientific research in shelf seas and coastal regions in the Baltic and European Arctic Seas. IOPAN is the lead partner in DAIMON project, as it did already for the CHEMSEA and MODUM projects. The Polish Naval Academy (PNA) is a military school under the supervision of the Ministry of National Defense and a military unit carrying out missions related to national defense. It is also a military scientific institution, based in Gdynia, with expertise in operational oceanography, including underwater operations relating to dumped munitions. PNA has created Polish version of the project website www. The Military University of Technology (MUT) in Warsaw is a state military technical school at the university level. The Institute of Chemistry at MUT is a full-time organizational unit of the Faculty of New Technologies and Chemistry, established to conduct teaching and educational, research and training of scientific staff in the disciplines of ecology and environmental monitoring, explosives and fireworks and hazardous material and chemical rescue. 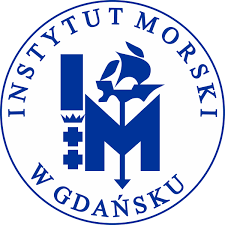 Maritime Institute in Gdańsk (MIG) is a R&D unit supervised by the Polish Ministry of Infrastructure with over 50 years of experience in consultations and service in the fields of hydrotechnics, engineering, operational oceanography, maritime law and economics as well as nature protection and monitoring. The Lithuanian Environmental Protection Agency (LEPA) is charged with organizing, coordinating and performing environmental monitoring and implementing the Lithuanian policy on control of hazadrous substances. The LEPA Marine Research Department has experience with assessments of the environment state at chemical munitions dumpsites in the Lithuanian economic zone and in publishing guidelines for fished munitions in Lithuania. The Alfred Wegener Institute Helmholtz Centre for Polar and Marine Research (AWI) in Bremerhaven is Germany's leading institute for polar and marine research. The AWI Department Ecological Chemistry has broad experience in the development of indicators and expert systems for integrated analysis of chemical and biological data including the assessment of contaminant impact on the marine environment. The Thünen Institute of Fisheries Ecology (TI-FI) is one of the federal research centres under the German Ministry of Food, Agriculture and Consumer Safety. It has expertise in agriculture, forest ecology and fisheries. The Institute of Fisheries Ecology, one of TI-FIs science institutes, addresses issues related to the effects of anthropogenic pressures on marine ecosystems, with a focus on the effects in fish from the North and Baltic Seas. It is responsible for national chemical and biological monitoring with regards to hazardous substances in biota from offshore regions. The Technical University of Clausthal (TUC), Department of Informatics, modell-based system analysis and simulation, has recently developed in the SOAM recognition software and database structures to handle and to analyze sonar- and magnetic sensors of an AUV for detecting and localizing dumped ammunition in the Baltic and North sea. In DAIMON they will develop the decision-aid software for dumped munitions. The Finnish Environment Institute (SYKE) is a state agency under the Finnish Ministry of Environment carrying most of the environmental research as well as the coordination of national environmental monitoring. SYKE was the coordinator for the former MERCW project. 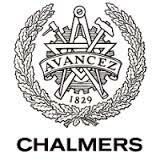 Chalmers University of Technology is a Swedish university located in Gothenburg that focuses on research and education in technology, natural science, architecture, maritime and other management areas. The developed by Chalmers VRAKA model - semi-quantitative risk model as decision support to facilitate prioritization among wrecks that need to be remediated - will be adapted in DAIMON under the aspect of dumped muntions. The Norwegian Defence Research Establishment (FFI) is experienced in methods for impact evaluation of dumped munitions. Their mission is to give advice to the armed forces and national policy.